We often get pied-billed grebes at the Reservoir and occasionally at other watering holes in Central Park. I've also seen a somewhat rarer red-necked grebe and a horned grebe at the Reservoir as well. This shot of a pied-billed grebe was taken at the Reservoir on Jan. 12, 2014. I've now done videos for all three kinds of grebes I've photographed. 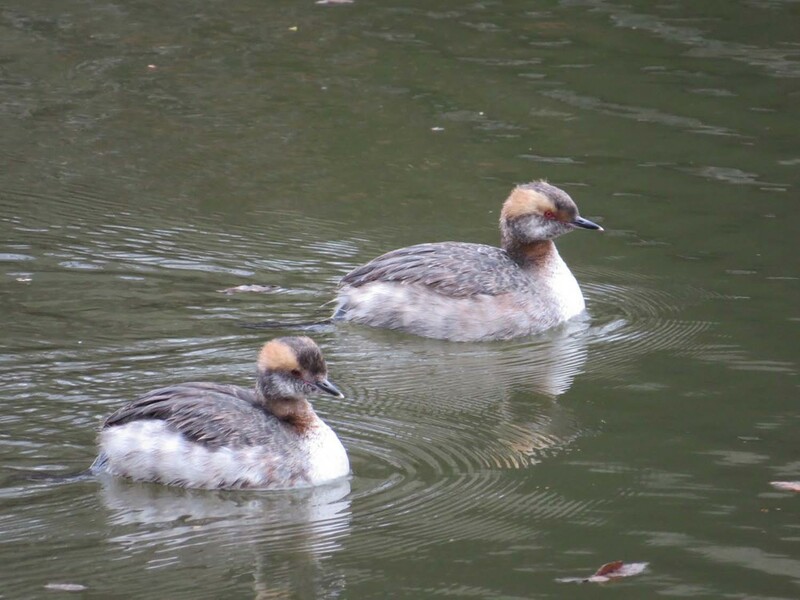 Here's the pied-billed grebes, filmed in Central Park and Prospect Park from 2013 until 2016. This is set to a Telemann flute sonata. Central Park was visited by three horned grebes, one at the Reservoir in early March and two on the Lake on March 17, 2016. I was able to videotape the three and the Filming the Feathers video should entertain you greatly. It is set to music by Tomaso Albioni. 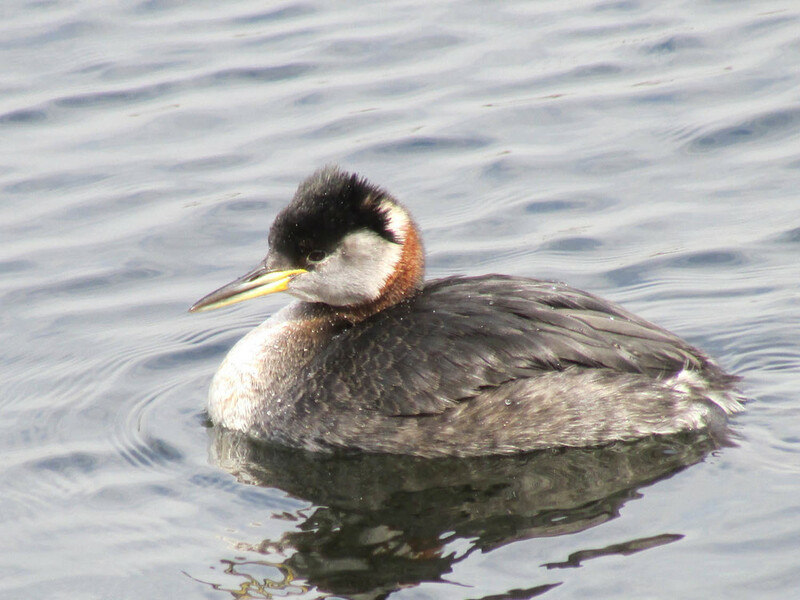 In March and April 2014, the Reservoir was visited by a red-necked grebe, who quickly came a local birder favorite. My Filming the Feathers video celebrating the waterbird is accompanied by Georg Philipp Telemann's Sonata in A minor, performed by the Telemann Trio and obtained from MusOpen.org.